President Mubarak is at the Academy for the opening ceremonies at the moment accompanied by the Italian Prime Minister Silvio Berlusconi. They are heading to open the First permanent Egyptian museum abroad covering the different eras of Egyptian history. Pharaonic, Coptic, Roman and Islamic including objects from the treasures of the famous boy King Tut Ankh Amun. In the early 20th century, Ragheb Ayyad, then young painter who had received a scholarship from his colleague Artist Youssef Kamel to Rome, came up with the idea of establishing the “Royal Egyptian Academy of Fine Arts”. He was inspired by the idea as he found out that most of the European countries are keen to establish academies for their youth artists in Rome, finding it the perfect city for developing their talents under the supervision of specialized professor. In July 1924, Ragheb Ayyad wrote a letter to the Egyptian Plenipotentiary in Rome at the time, Ahmed Zul Faqar, stating the history and the civilization of Egypt and its great monuments, which are spread all over the world. He also mentioned the fact that most developed countries have established academies in Rome for Fine Arts students to complete their studies. These academies are luxurious buildings which consist of ateliers for the different types of arts and a hostel for students. Each country fully supports its students through scholarships, in addition to the responsibility for the students’ personal needs. At the end of every year, students from each academy exhibit their art in an exhibition that is attended by the King and Ministers of Italy to encourage and motivate students. Finally he requested from HE Plenipotentiary Ahmed Zul Faqar to ask the Egyptian government for the possibility of establishing an Egyptian academy, like the other countries in Rome, to host the Egyptian young artists who are willing to have such opportunity after graduating from their schools in Egypt. Both the Minister of Education and the Council of Ministers approved the proposal and agreed to construct our academy in Rome, like the other countries with academies; France, England, the United States of America, Germany, Belgium, Spain, Romania and Denmark, to be a central point for Fine Arts students from Egypt. The birth of the “Royal Egyptian Academy for Arts” was in 1929, and it was then located in “Villa Borghese” district. 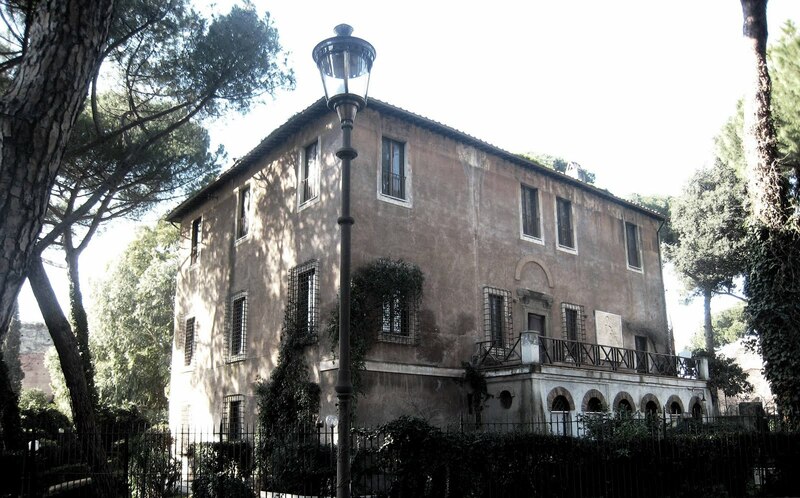 It remained there for only one year, and then in 1930 it was relocated to Collo Opeyo Palace, a historical palace of Emperor Nero. Artist Sahab Refaat Almaz was then appointed to be in charge of the academy while on a scholarship from King Fouad I to study Fine Arts in Rome. During the same year the Italian diplomatic delegation in Cairo proposed to the Egyptian government that “the Italian government is ready to relocate the Egyptian Academy in Julia valley, where most of the academies are located, and in return be granted a piece of land in Cairo from the Egyptian government to have an institute for excavation study”. The academy was known as “a governmental entity affiliated with the Royal Egyptian Ministry of Education, which created opportunities - through competitions - for Egyptian students to communicate with students from different countries and to study the history of Rome and the classic Italian art, especially the age of the “Beginning”. During scholarships, Egyptian students stayed in Rome no less than 2 years and produced masterpieces, which were to be displayed in an annual exhibition organized by the Ministry in Cairo. The General Authority of Fine Arts in Cairo was responsible to set the academic programs for the students as well as programs for languages and history. Two-month scholarships to the Italian cities that contain the most important artistic works were granted to painters, architects and sculptors who have finished their studies in Rome. HE Prince Youssef Kamal sponsored many of the Egyptians scholarships to Rome as a gift. He also established the School of Fine Arts in 1908 and financially supported it until 1925. The academy’s first year started in 1930 with five talented young Egyptian artists (2 architects, 2 sculptors and 1 painter). The architects worked on different projects on the classic architectural art in Rome and also on repairing some of the Roman monuments, while the sculptors and the painter learned about the old classic art and the reality of its formation and also a lot about the advancements in Italian art. The connections between the Egyptian and Italian governments lasted for 5 years, during which the academy’s location remained the same until the early sixties, when it was moved to Julia Valley. 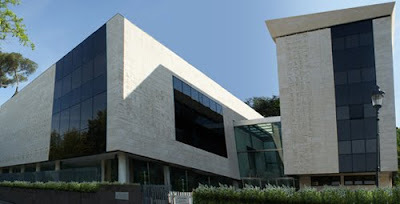 In 1947, and following a ministerial decree, Mohamed Nagy, the previous Director of the Modern Art Museum, became the first official Director of the Royal Egyptian Academy of Fine Arts in Rome, then from 1950 till 1955, Sculptor Abdel Kader Rezk was the took the position and also played an important role in getting back the idea of exchanging two pieces of land between Egypt and Italy, which had been cancelled since 1937 and until 1950 from the Egyptian side due to the war between El Habashah and Italy. The Minister of Education, Dr. Taha Hussien, approved the treaty and put a budget of 20,000 Egyptian Pounds for the construction of the new Academy. In 1952, Mohamed Hassan was the Director of the Academy for 3 months, then in 1956 Salah Youssef Kamel, a professor in the School of Fine Arts took over in addition to his tasks as the Egyptian Cultural Attaché in Italy and supervising the coordination of exhibitions in Europe. The project was later put on hold at the time of the Egyptian Revolution, in July 1952, as the expenditure was seen as an act of binge. Later in 1957, Mr. Salah Youssef Kamal re-entered the negotiations to continue the agreement, and succeeded to get government approval with the help of HE Ambassador Tharwat Okasha, the Egyptian Ambassador to Italy then, and the Egyptian government offered alternatives for the piece of land to be granted to its Italian counterpart. During 1959, the first official agreement was signed for the cultural relations with Italy. The construction of the academy took place from 1961 to 1965. In January 1966, the cultural and artistic activities started in the academy’s new location in Julia valley at Villa Borghese and one of the most significant achievements at that time was the assignment of a square near the academy to Poet Ahmed Shawky. Salah Youssef Kamel held the position of Director until 1979, when Saleh Ghoneim Abdoun, ex-Director of Cairo Opera House, took over. Then in 1983, Artist Farouk Hosny was appointed as the Director of the Academy, to be later assigned as the Egyptian Minister of Culture in 1987. Artist Mostafa Abdel Moatie took over the academy in 1988, after having been the Director of the National Center for Arts, then in 1995 Dr. Magdy Kenawi, a professor in the Faculty of Fine Arts in Alexandria followed as Director of the Academy. In 2000, Dr. Farouk Wahba was appointed Director, followed by Samir Gharib from 2002 till 2004, who had previously held the position of Director of Dar El Kotob. Since 2008, Dr. Ashraf Reda, Professor of interior design at the Faculty of Fine Arts has been the Director of the Academy. In July 2008 the Academy started a huge renovation project that represents a significant and structural change for the Academy to represent the history and civilization of Egypt. Egyptian culture minister Farouk Hosni arrived in Rome on Monday to oversee the finishing touches of the new Academy before the ribbon-cutting ceremony. The Academy will include a museum with 120 ancient Egyptian artefacts, among the artefacts will be pieces from the treasure of Tut Ankh Amon.